Taken in the Vercors NP, France, on July 21st 2018. Taken nr Dobrinishte, Bulgaria, on July 25th 2015. 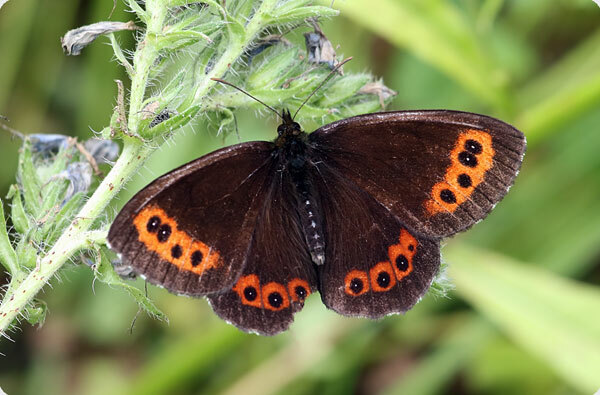 The Arran Brown has chocolate-brown uppersides with red or orange postdiscal bands. The wing fringes are strongly chequered. The sexes are similar. It is widely distributed in N Europe. 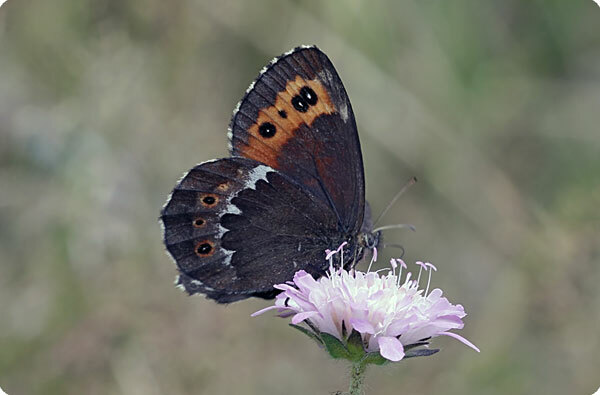 In C Europe it is most common in mountains above 500m from France and C Italy through the north Balkans and E Europe. It is not found in the British Isles. Typical habitats are sheltered forest edges and clearings, heaths and rough grassland near woods, and birch forest in northern Europe up to 2500m. There is one generation per year between early July and late August. In its northern range larvae can take two years to develop. Larvae feed on a wide range of grasses.